Himachal Pradesh assembly is a assembly having a single legislative chamber.There are 68 members and 14 house committees in Himachal Pradesh Legislative assembly.The time period of assembly is five years unless get dissolved sooner. 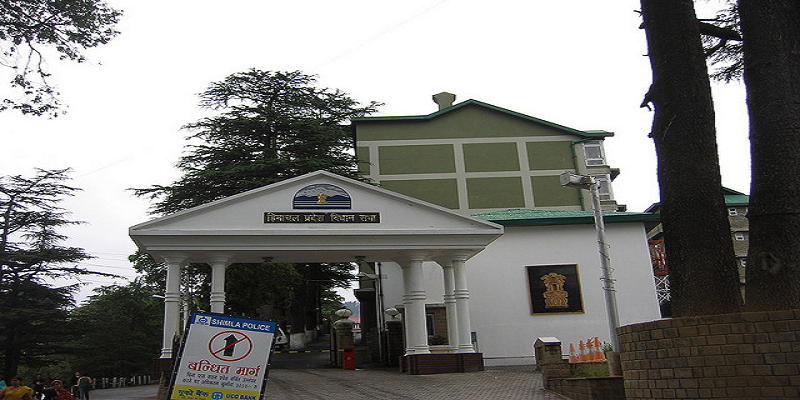 HImachal Pradesh vidhan sabha was formed on 1948, april 15th with integration of former princely states, after which Himachal Legislative assembly came into existence.At that time it was administrated by chief commisioner. But it was brought under Lt. Governor in 1951,when Himachal got status of part 'c' state having 36 members and 3 cabinet members in Legislative assembly. In the year 1952,Indian Nation congress on the leadership of Yashwant singh Parmar formed first government in state.With this Yashwant singh parmar who is also named as ‘founder of Himachal Pradesh' became first chief minister of Himachal pradesh. In 25 January,1971 before one day of Republic day of India, Himachal Pradesh Celebrated there title of 18th full fledged state of India. Himachal Pradesh became 18th state of union India to get full fledged Statehood status, under act of State of Himachal Pradesh Act, 1970. With the status of state and delimitation of the assembly in 1971-72 the strength of the assembly changed to 68 which is same in present also.